Played college basketball at Michigan (2007-10). In February'12 signed by Cleveland Cavaliers. Moved to Ukraine for the 2012-13 season, signed by Azovmash Mariupol. 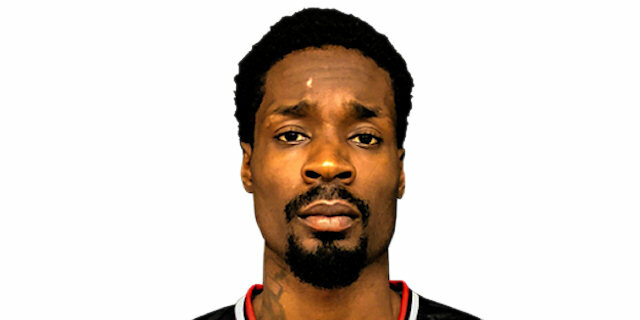 In December'13 signed for the 2013-14 season by Los Angeles D-Fenders. In January'14, signed by Los Angeles Lakers. In March'14 moved to Turkey, signed for the remainder of the season by Turk Telekom Ankara. Signed for the 2014-15 season by Los Angeles D-Fenders. In December'14 moved to Turkey, signed by Eskisehir Basketball. Signed for the 2015-16 season by Los Angeles D-Fenders. In December'15 signed by Texas Legends, NBDL. In March'16 moved to Turkey, signed by Turk Telekom Ankara. In May'16 moved to China, signed by Anhui Wenyi. Signed for the 2016-17 season by Dallas Mavericks. In November'16 signed by Texas Legend. In May'17 moved to China, signed by Anhui Wenyi. Won the 2018 Basketball Champions League with AEK Athens. Won the 2016 Chinese NBL with Anhui Wneyi. Won the 2018 Greek National Cup with AEK Athens. Named the 2018 Basketball Champions League MVP. Named to the 2008-09 All-Big Ten 1st Team.